Just thought I would say a big thankyou for such a great product. 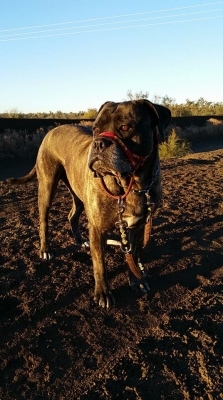 I live in rural Australia with my Bullmastiff Chloe who likes to chase wild animals when given the opportunity. This has saved an arm injury many times as I am only 5"2 and she weights as much as me! Thanks again! I've attached a photo of her in the winter afternoon sun.